KGW invited Gov. 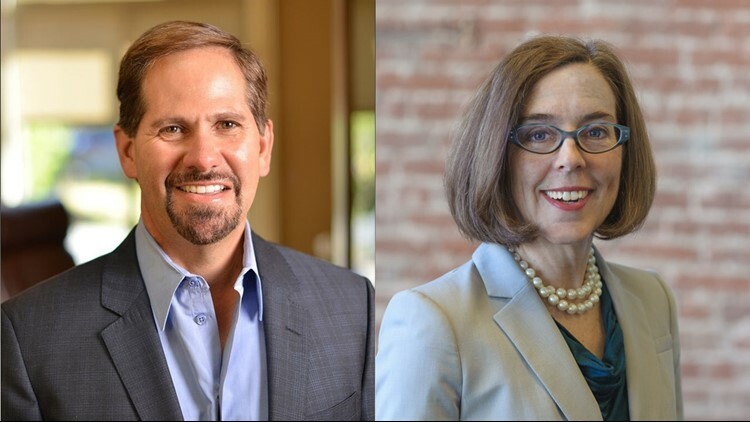 Kate Brown and Rep. Knute Buehler to join us at local schools for conversations with local teachers to directly address their concerns. Education has been one of the central issues in the race for Oregon governor – and there’s good reason for that. Our state’s graduation rate stubbornly remains among the worst states in the country and teachers worry that a downturn in the economy will decimate school budgets. Teachers pressed both candidates about how they’d stabilize education funding even when the economy slows down. Buehler told a teacher at Beaverton High School he’d support diverting money from Oregon’s kicker tax refund to fill a rainy-day fund for schools. “A rainy-day fund that you can call upon when you’re in the trough and a rainy-day fund you really put money in to when you’re at the peak, like we are right now,” he said. Buehler said he would use the kicker money to fill a rainy-day fund until it equaled 20 percent of the state budget. “It will just take leadership and leadership from a governor. We’ve certainly been talking about tax reform for a long time in Oregon, but it’s going to take a governor to really push it forward. And fortunately, the people of Oregon have shown in the past they want to create a rainy-day fund,” Buehler said. Sheila Thieme, a teacher at Scholls Heights Elementary in Beaverton, pressed Brown to fight for a more consistent education funding model. As it stands now, Thieme said teachers must beg the community and state for money when the economy slows down. “The challenge has been a funding issue with the state of Oregon for decades,” Brown said. She touted the fact education funding has increased during recent boom years but admitted it may not feel like enough. “It feels, I know to the educators, to the teachers like just the tip of the iceberg,” Brown said. The conversations with teachers also included topics such as an alarming increase in emotional problems among elementary students, class sizes and how to fund the state’s public employee pension system. Measure 106: Should Oregon taxpayers' money be used for abortions?